Word is spreading out about this year's favorite color. 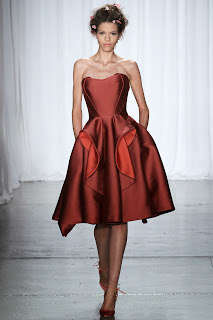 I found it in Zac Posen's collections for 2014. But first, take a look at this wonderful dress from his Pre-Fall 2014 collection. And here it is. It's orange time! And I don't mean fruit. Even though they're my favorite.